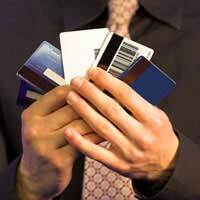 Store cards come with notoriously high rates of interest and are not a good idea for long term borrowing. But there are a few ways to make big savings when customers open an account. Why All the Negativity Against Store Cards? Store credit cards come with one of the highest interest rates. Consumers will rarely get a good deal when it comes to store card interest rates compared to credit cards from traditional lenders. Many store cards will come with interest rates of around 25% and some come close to 30%. Whereas most credit cards can be used anywhere, store cards can usually only be used within the store or chain of stores. Loan protection will of course bump up the repayments and is often not worth the money. Aren’t Store Cards Just the Same As Credit Cards? No, there is a difference between store cards and the credit cards supplied by stores. Many stores now supply their own credit cards as well as their own store cards. Store credit cards are just the same as credit cards you would obtain from banks or credit providers, and can be used anywhere. Store cards are designed to be used in stores to pay for goods, and services such as cash advances are not typically available with store cards. Why Bother Obtaining a Store Card? Store cards can be a good way to grab some bargains. The stores will often have ‘card holders only’ sales before the event is open to non card holders. Most store cards have an interest free period, so goods can be bought and then paid for without interest accruing. Discounts usually apply for customers opening an account, and this can mean a saving if customers pay the balance before interest kicks in. Any Other Reasons for Opening A Store Card? Although store cards do come with high interest rates they can be an excellent way to rebuild a poor credit record. As long as the account holder makes regular payments and doesn’t abuse the store card they can rebuild their credit score. The best bet is to make small purchases and always repay the amount before the interest free period kicks in. Where Does the Big Savings Come Into the Mix? Savings can be had with a store card due to the initial introductory offer. Usually stores will offer a discount of around 10% to new account holders. This is designed to tempt customers into opening an account at the sales counter. This discount won’t mean much for people who are simply buying one shirt or a pair of trousers. But it can mean a big saving if numerous items are being purchased on that initial account opening shopping trip. Won’t The Interest Take Away the Discount? The discount will stand if the customer pays back the balance before the interest free period kicks in. Basically this introductory offer means customers are paying less for goods the first time they open an account. Interest free periods will vary depending on the stores but some can have interest free periods stretching for three months. Customers should check to make sure that they are opening a store card and not a credit card; many stores are now combining the two. Any Other Ways I Can Make Savings on a Store Card? Numerous customers have cottoned onto the benefits of ‘group’ discount shopping. This basically means when one shopper opens an account they take their friends shopping and collect a discount on all the purchases. The friends then give the account holder the cash minus the discount. If the balance is paid within the interest free period everyone involved makes a saving. This group shopping method can then be reprised a few months later on the next trip with another person opening an account. When Is the Best Time to Open a Store Card Account? Smart shoppers will open an account during periods when they know they are going to spend a lot of money such as Christmas. Sales are another good time as customers will receive both the sales price and the discount when opening a store card account. Stores do have a habit of changing their introductory offers and it is a good idea to shop around. Keep an eye out on store websites for the best offers. Also listen out for upcoming offers from friends who actually work in the stores.